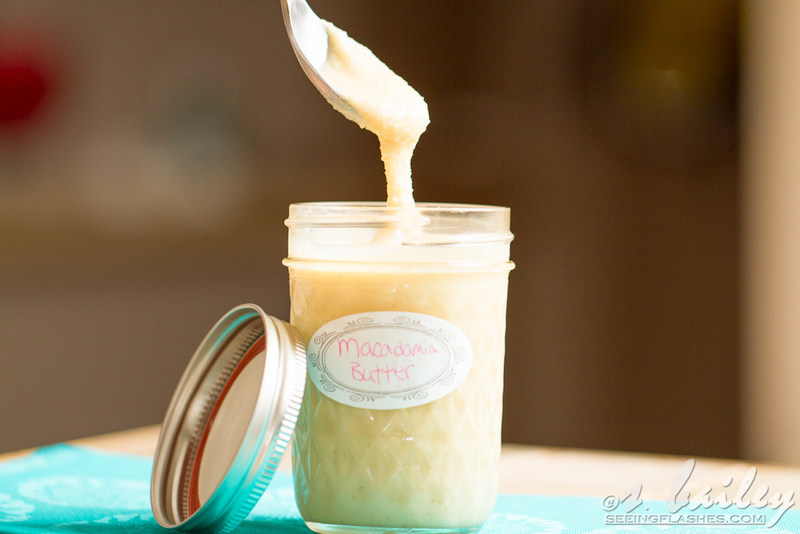 Drippy, sweet and melty honey roasted macadamia butter. 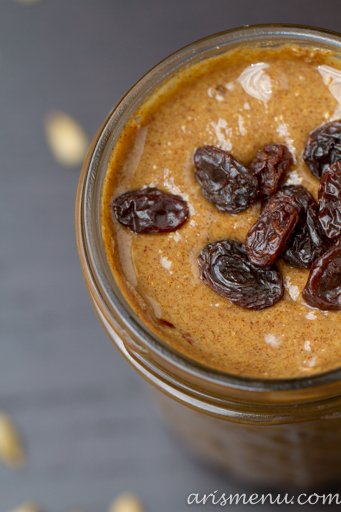 All it takes is one ingredient and 5 minutes to create your new favorite spread. I’m really not the “DIY” type. As much as I love anything homemade, especially when it’s heartfelt, bringing myself to devote hours of time to a craft that I will inevitably be unhappy with when I finish is just not something I can usually do. I am, however, in total awe of people who can/do. Honestly, anyone that can make things look pretty, or at least not look like a kindergartner made it is totally impressive in my book. Most of the time when I see a “Beautiful #DIY Gift Idea #Christmas” on Pinterest, I steer clear, and remind myself that the “5 Minute Up-Do” I found took me more like an hour, and I still wasn’t satisfied with the result. But food? That I can do. Even DIY food. 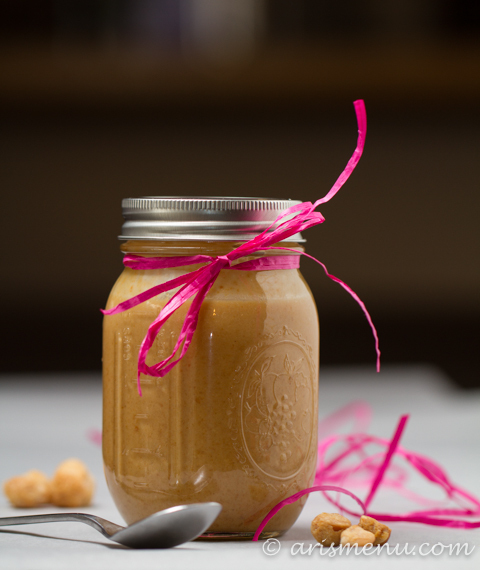 I love making people treats, especially things you can’t buy in the store, and I adore stuffing my family’s stockings with homemade nut butters, granola, and puppy chow rather than candy canes filled with m&ms. So meet my newest obsession. 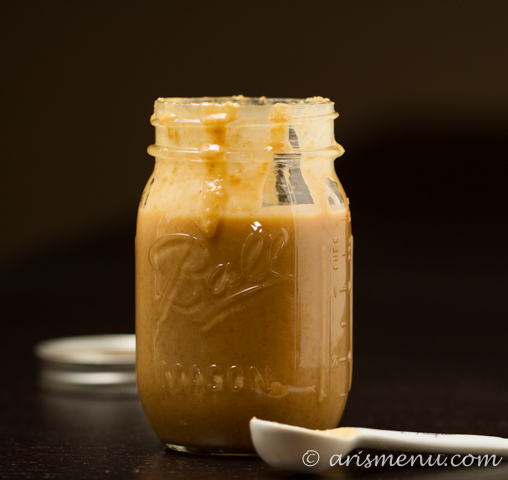 The best, drippiest nut butter I have ever tastes. Now, if you like a more solid texture, not to worry! 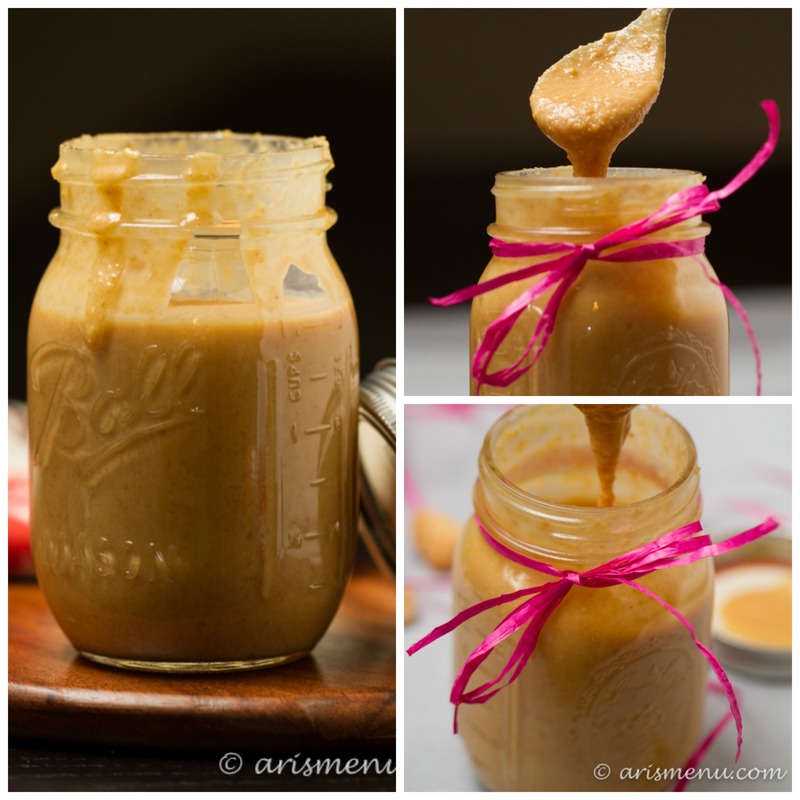 Stick this baby in the fridge, and you will get more of a traditional peanut butter texture, but I LOVE the way it drips right off the spoon, and has almost a melted texture. 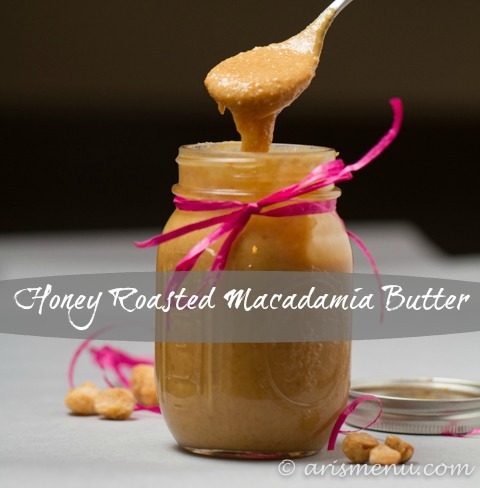 Macadamia nuts are the best nuts for spreads, in my opinion. They always come together super easy and quickly with no food processor starting and stopping. This DIY project will literally take you 5 minutes. 10 if you include dishes, but I wouldn’t know since I don’t actually do those. 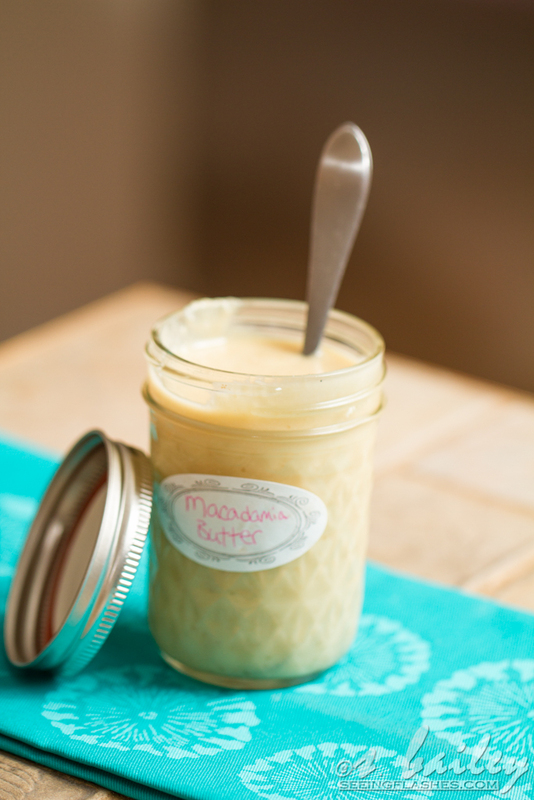 I found my honey roasted macadamia nuts at Trader Joe’s, but I’m sure you could also find them online, or make your own! 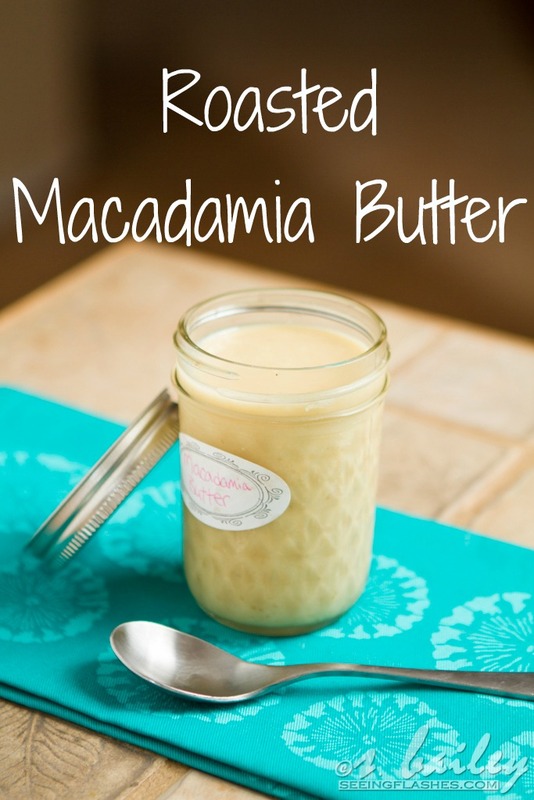 Place macadamia nuts in your food processor. 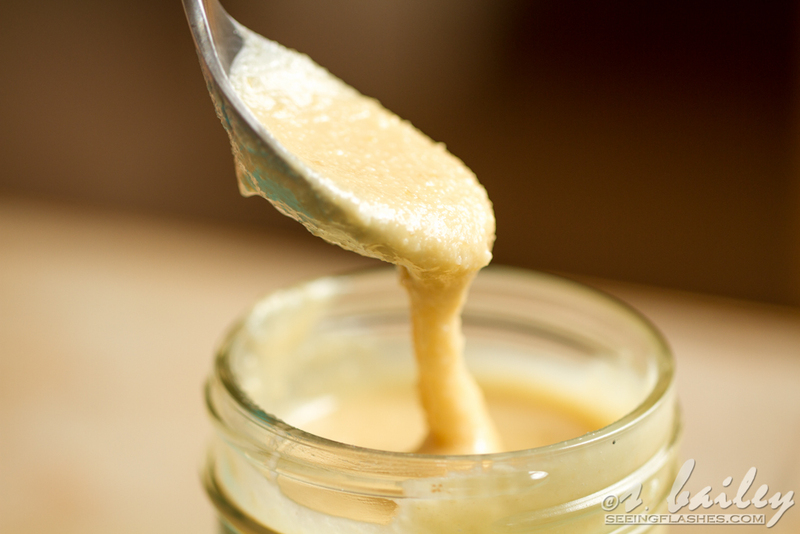 Blend until a smooth and creamy butter forms, about 3-5 minutes. Taste and add salt if necessary. Store in an airtight container refrigerated for up to one month, or in a cool, dry place for 2-3 weeks. 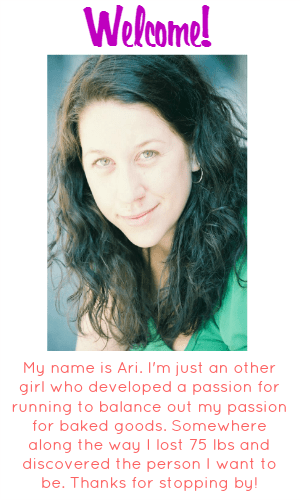 If you’ve been reading this blog for any length of time, there are a few things you’ll know about me. 1. 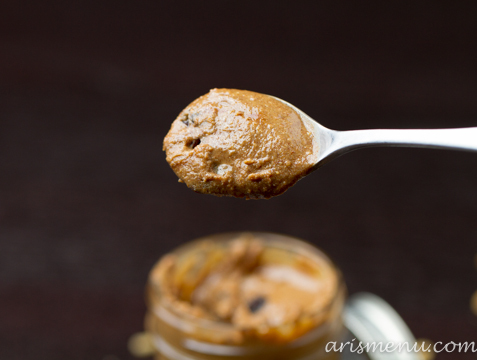 I am addicted to nut/seed butters. 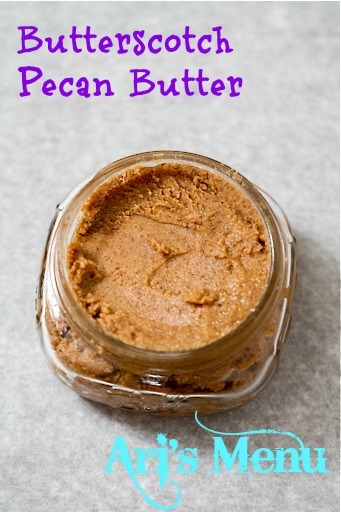 Peanut, almond, pistachio, macadamia, pecan, sunflower….you name it, I love it. and 2. I am obsessed with all flavors of PB&Co, but my two favorites are white chocolate wonderful and cinnamon raisin swirl. 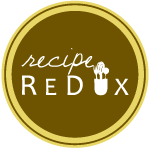 It’s funny, sometimes I have ideas floating around in my head for months before I get around to making them, and sometimes I just go to the kitchen to get a glass of water, and before I know it, I’m whipping up some new recipe that I had no plans on making. 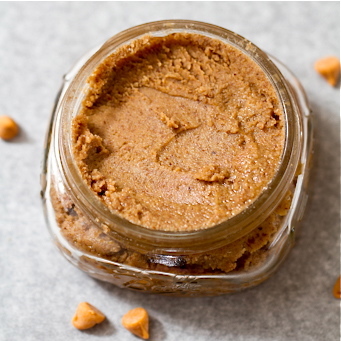 We were out of most of our nut butters, so I stuck some sunflower seeds in the food processor to make more, and before I knew it, this came out! Okay, maybe not before I knew it. 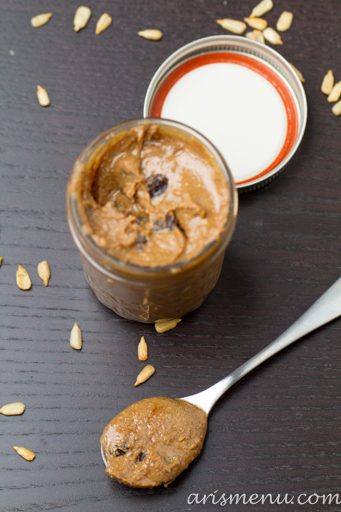 I must confess that sunflower seeds took longer to process, and form a nut butter than anything I’ve tried before. 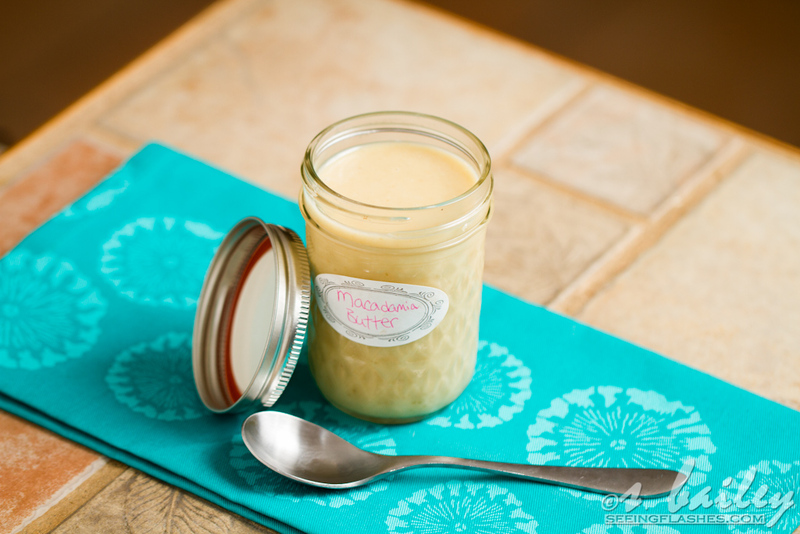 BUT with patience (and overheating my food processor), I finally got the result I was looking for! 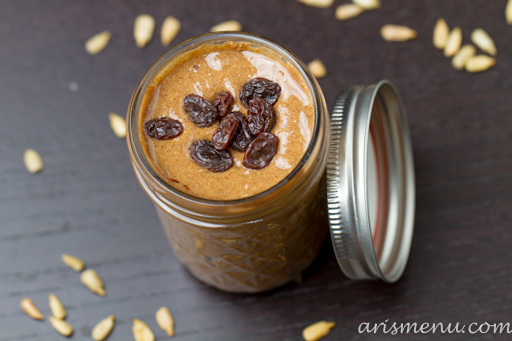 Thick, creamy, slightly sweet, with the bold flavor of cinnamon, and sweet, soft raisins in the mix. It was well worth the wait. In the end, it’s 100% worth the wait. Pinky promise. 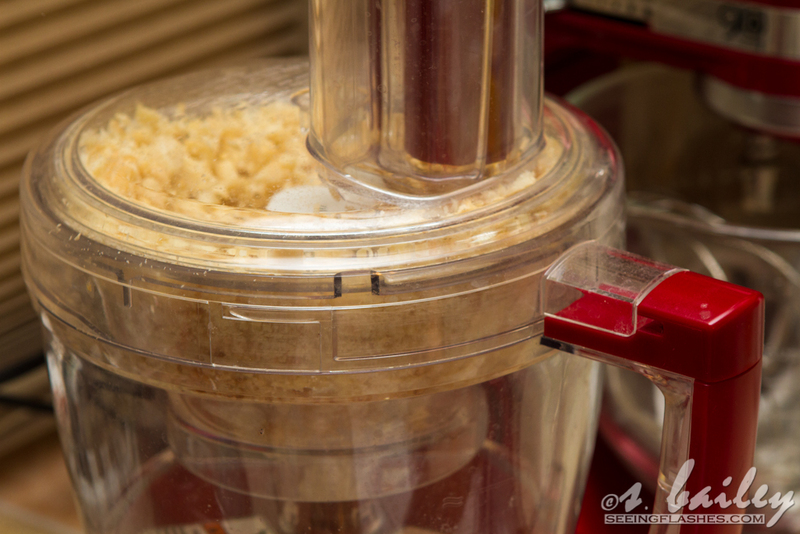 Place sunflower seeds in your food processor. 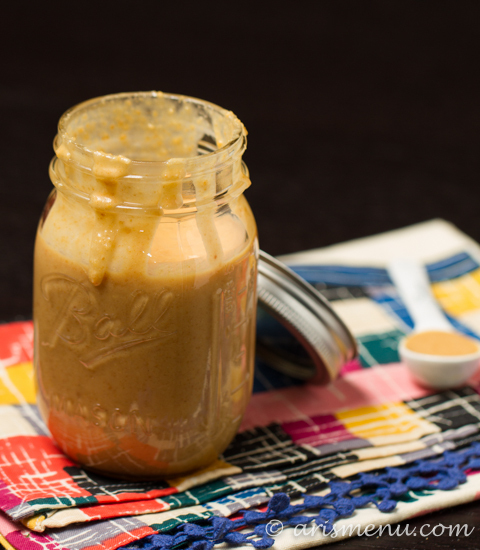 Blend for 3-4 minutes at a time (less if your food processor starts to sound like it needs a break–give it one! 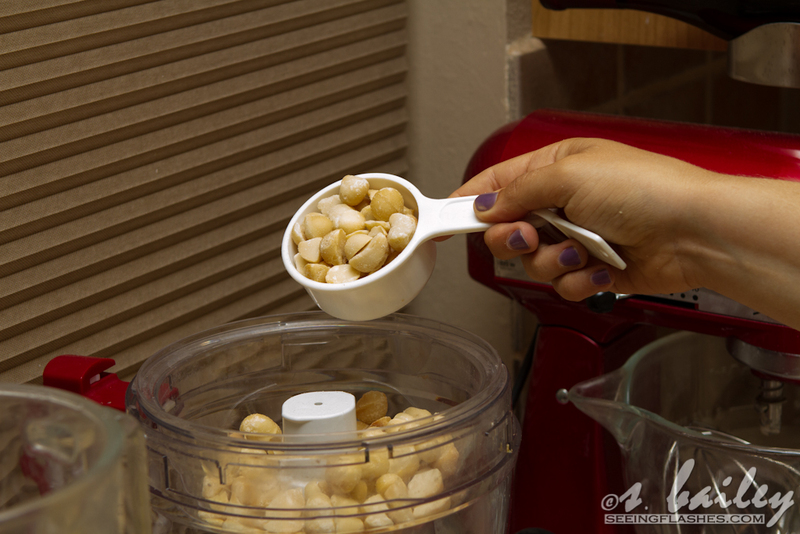 ), scraping down the sides of the bowl in between. 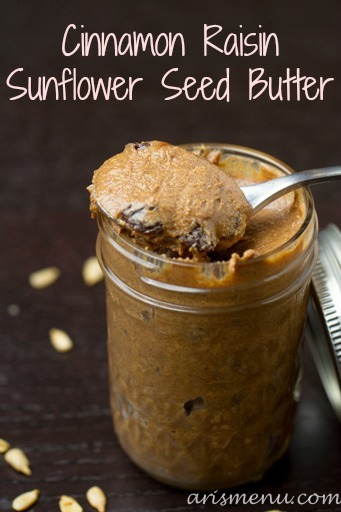 Eventually, sunflower seeds will form a paste-like consistency, then finally a nut butter consistency. This took me about 30 minutes. 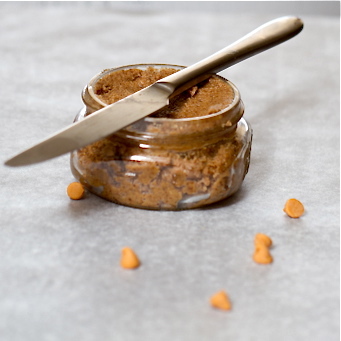 When seeds have reached your desired texture, add cinnamon and brown sugar to food processor, and blend to combine. 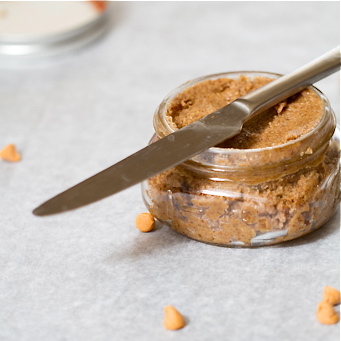 Start with 1 tbsp brown sugar, and add the rest at your discretion. 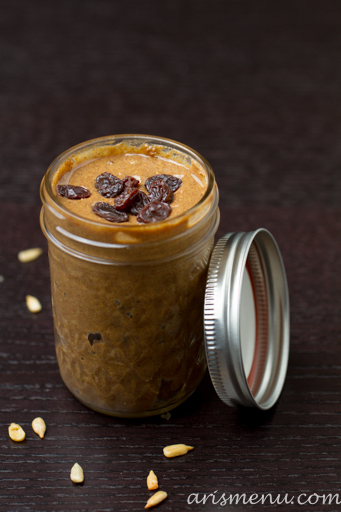 Remove sunflower seed butter from food processor and fold in raisins. Store in an airtight container for up to 2 weeks. I do not refrigerate mine, but you may if you like.